Tile and Grout Cleaning Allambie Heights provide professional tile cleaning, grout cleaning, regrouting, tile coloring and tile resurfacing services. Call 0410 453 896 for same day tile and grout cleaning bookings! Clean Masters Tile and Grout Cleaning Allambie Heights is your best option to hire professional tile cleaners in Allambie Heights. Our cleaners are masters in making your old tiles and grouts New Again. We use the finest materials and eco-friendly cleaning solutions that are safe for your floors and produce finest results. Grubby Tile & Grouts in your home kitchen or bathroom or family lounge room? We will refresh your tile & grouts to give them new look . Epoxy grouting is one of the most advanced and favoured methods to save your tile areas from the attack of stains, contaminants, and pollutants. Usually, the grout lines in between your tiles are made up of porous material and attract stains, soil, dirt, and grime. Whereas on the other hand epoxy is a material that repels stains and does not let the contaminants accumulated onto the tiles. Hence, epoxy works best as the grout while making your tiled surface look clean for a long time. Moreover, epoxy grouting does not let water and stains penetrate deep inside the grouts. And if your thinking for tile regrouting, you must go for epoxy grouting services in Allambie Heights . With the regular use, salt-like formations start depositing onto your tiles, this is what we call efflorescence. You may try to remove such deposits on your own but not completely succeed. However, the professionals of Clean Master Allambie Heights deliver the best results for efflorescence with the help of best tools and high-quality cleaning solutions. Moreover, our professionals possess appropriate knowledge and skills to bring the lost lustre of your tiles back. 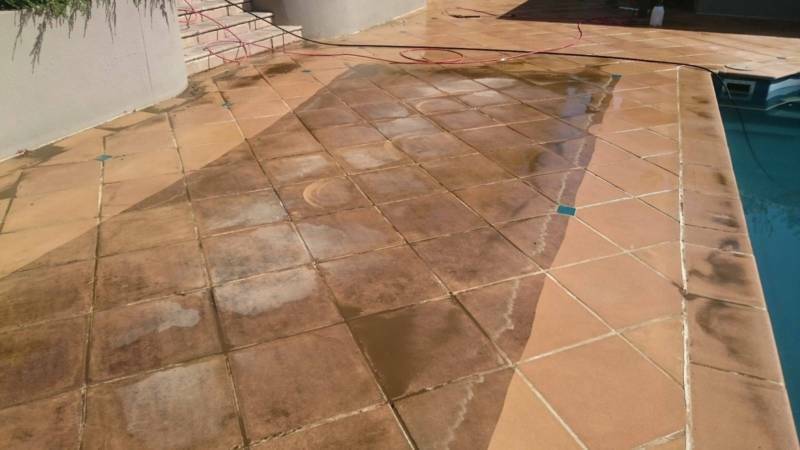 We offer Efflorescence treatment in Allambie Heights to both indoor and outdoor tiles. One of the major services we offer for tile and grout cleaning Allambie Heights include concrete sealing. Sealing of concrete floors works best to repel stains, dirt, grime and contaminants. Sealer keeps the stains, contaminants and pollutants onto the surface and stops it from penetrating deep inside. Concrete sealing is the best method to save your floors from the attack of pollutants, contaminants, stains, which in turn prolongs the charm of your concrete floors. So, call us today and get the best tile restoration services in Allambie Heights. Another floor restoration services our tile cleaners provide include floor buffing and polishing. Buffing is the method we use to remove scratches, and marks from your timber floors. Equipped with high-quality machines and buffing pads, our professionals try every possible way to restore your floors. Our quality floor restoration services in Allambie Heights never fail to mesmerize our clients. Moreover, we can serve you on the same day of booking as well. Due to the porous nature, grouts are most prone to the attack of stains, dirt and contaminants. They become dirty and stained easily. And cleaning and restoring grouts at home on your own is not an easy task of accomplish. This is where the professional tile restoration services come to the picture. And our professionals in Allambie Heights offer the best services grout cleaning and colouring. Coloured grouts give a new and enhanced look to your tiled surface and make the entire place look new and refreshed. 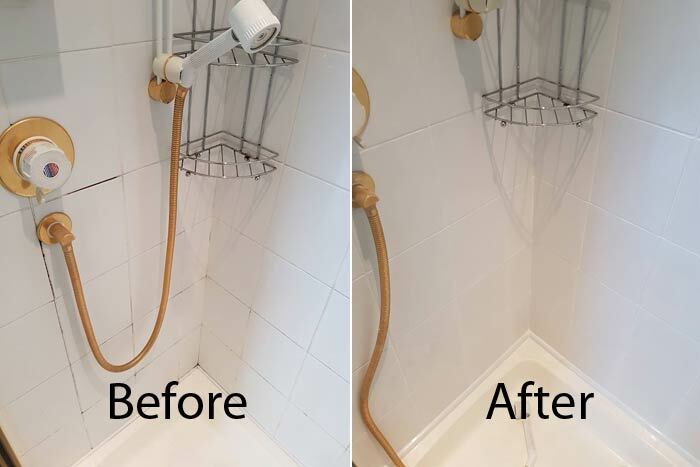 Clean Masters Tile and Grout Cleaning Allambie Heights provides professional tile cleaning, grout cleaning, tiles restorations, grout restoration, grout re-colouring, tile stripping, and tile sealing services. Our tile and grout cleaners work 24 hours and 7 days a week all across Allambie Heights. We are team of experienced, certified and trained professionals who are expert in cleaning all tile surfaces. Call us at 0410 453 896 for a free quote for Tile and Grout Cleaning anywhere in Allambie Heights! Are you looking for reliable and professional floor cleaners in Allambie Heights? Well your search ends at Clean Master Allambie Heights. We are a leading cleaning service provider serving our clients with exceptional tile and grout cleaning services for more than twenty years. Clean Masters has the finest experts in the industry who have required license and certification and are thoroughly trained. We use highly advanced cleaning techniques and eco-friendly cleaning solutions to give a sparkling new look to your floors. Call the experienced experts of tile and grout cleaning in Allambie Heights – Clean Master Allambie Heights! Floors attract the eyes of the guest, the moment they enter your home or office. No one likes dirty or stained floors. However, it is almost impossible to keep the tiles and grouts as shiny and bright as they were on the first day. So what’s the best way to keep them clean and hygienic throughout? The easiest and most affordable is to call Clean Master Allambie Heights’s experts and get tile and grout cleaning service done. We have been delivering professional, reliable, guaranteed, and cheap tile and grout cleaning services to domestic and commercial clients throughout Allambie Heights. Why Choose Clean Master Tile and Grout Cleaning Allambie Heights?